As a news 'junkie', I am always seeking out new avenues to get my regular 'fixes'. Print media, radio and television, and computer websites/smartphone apps are all acceptable to me and employed as their availability allows. Having such a wide variety of choices stands in stark contrast to the days of the 'Big Three' television networks and having only the Associated Press and United Press International serving as the major 'news wires' for our daily newspapers (yes, I meant plural because, unlike today, there used to be more than one in every major town/city across the country for morning and evening consumption). In this second decade of the 21st century, the public appears to be trending away from print and migrating to more modern methods of conveying information. While cable television isn't a new method, its transition from a traditional analog transmission method to a digital one has allowed for the exponential increase in channels from its basic offerings of just a few short years ago. This convergence of consumer migration and medium abundance may be the reason for Current TV's recent 'rebranding' to become a 'progressive' alternative to the offerings of CNN, Fox News, and MSNBC--the new 'Big Three' of cable news outlets. 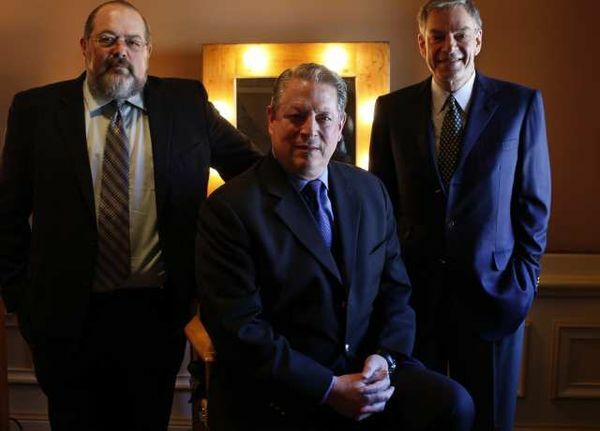 Originally launched on August 1, 2005 by former US vice president Al Gore and businessman Joel Hyatt, Current TV was to serve as an independent alternative to other cable offerings in an attempt to help change the tide of "consolidation and conglomeratization" seen in the media over the past two decades. 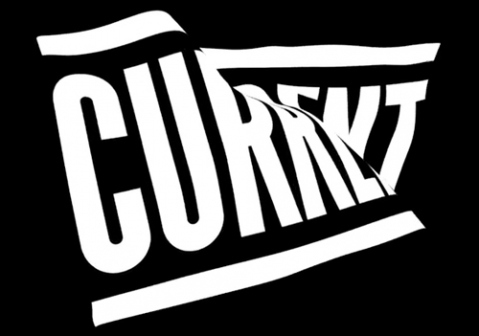 Featuring in-house documentaries and viewer-provided video shorts, the network floundered until it announced a high-visibility signing in February 2011. Keith Olbermann, a political commentator and host of MSNBC's top-rated Countdown program, left that network the previous month after a very public falling out over personal political donations and a suspension by that network's management. The new show, named just like his old one, debuted the following June and was the first of several moves by Current TV and its new president David Bohrman to woo progressive viewers from their present cable network and independents from CNN and other non-Fox outlets. When Olbermann's show started last June, it was run six times a day (8PM, 11PM, 2AM, 7AM, noon and 2PM Eastern time) but that was changed with the addition of Cenk Uygur (another MSNBC 'exile') and his The Young Turks program in December 2011 (primary broadcast at 7PM ET) and The War Room with Jennifer Granholm hosted by the former Michigan governor in January 2012 (following "Countdown" at 9PM ET) to round out a 3-hour block of evening news and issues programming. 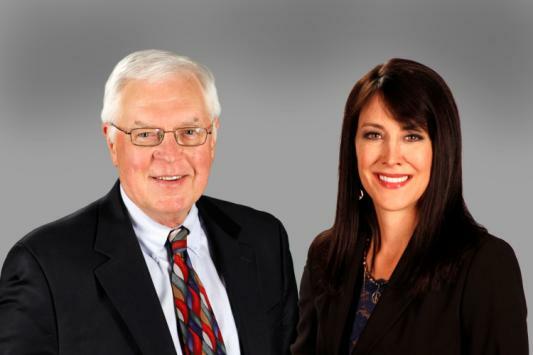 To shore up their morning time slots, Bill Press and Stephanie Miller were each given 3-hour programs to simulcast their radio offerings to a television audience (much like Don Imus used to do on MSNBC and does now on the Fox Business Channel). Vanguard documentaries round out the balance of the channel's daily schedule. It's far too early to predict how this experiment will turn out but they are starting from a significant disadvantage. 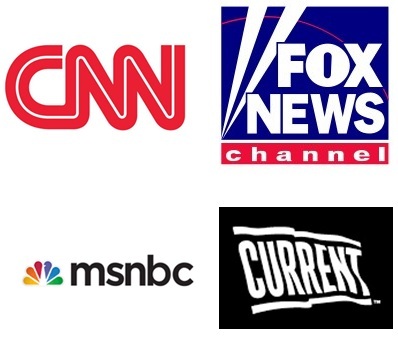 Unlike the other cable news outlets, Current TV is not offered on any of the major cable or satellite provider's basic programming packages and must be viewed via a digital tuner or recording device (which may incur an additional cost). Their 30-million household reach is dwarfed by the over 100 million enjoyed by both Fox News and CNN and the near 80 million for MSNBC. This is not a unique phenomenon for progressive-based programming in the US, where even their most listened-to radio shows have only a fraction of the outlets--and audiences--enjoyed by their conservative rivals. Technology, such as satellite radio and podcasts, help to mitigate the physical impediments that used to limit a person's choices in programming but initial equipment purchases and monthly subscription fees can cost significantly more than the $10 to $20 one-time outlay to buy a portable radio at the local electronics store. Putting Press and Miller on in the morning is a smart economical move on Current TV's part and could be a win-win for them as well as the hosts who could see an increase in their overall audiences (and SiriusXM's boneheaded decision to broadcast The Alex Bennett Program right in the middle of their former 6-hour morning block on that carrier's progressive channel might've spurred Current TV's decision to carry them). Will Current TV ever really compete with the new "Big Three"? Another issue that I foresee is that of journalistic credibility. While offering its viewers news, opinion and analysis, it lacks a core news operation to provide indigenous reporting on the events of the day, instead relying upon other news sources to base their programming upon. CNN was the first dedicated cable news outlet and MSNBC leans heavily on its parent company's NBC News division for information gathering. Even though it is highly slanted to conservative causes, Fox News does have a journalistic core that is often, unfortunately, overruled by its opinion-based programming elements. I watched a little of Stephanie Miller's Talking Liberally show this morning and during the 10AM top-of-the-hour segment (0:00 to 5:00 after the hour when radio affiliates normally break away for syndicated or local news updates) a Current TV personality (unfortunately I didn't catch her name) brought up a few headlines with the on-air personalities before they went back to their radio programming. A news division was promised with the Olbermann's hiring but has yet to materialize in the 13+ months since that announcement was made. 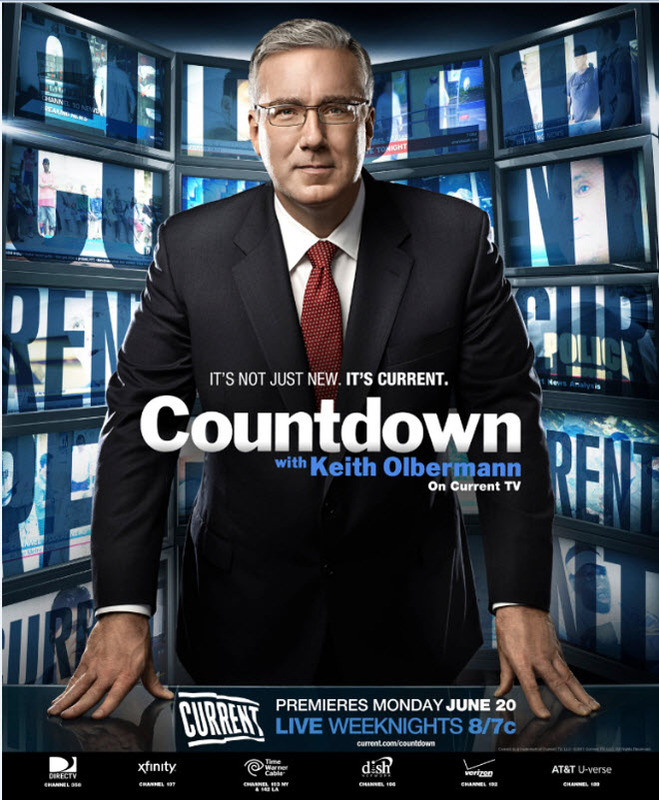 A print ad announcing Keith Olbermann's debut on Current TV last summer. Despite these obstacles, I do wish them well and I will try to keep up with their live programming or through delayed viewing on my DVR. I had other things going on in my life (military career, raising a family) that prevented me from dwelling on the early years of the other cable news outlets but I'm guessing that they had similar hurdles along the pathways to their present positions in the overall media market. It would be nice to look back 10 years from now to see where Current TV eventually ends up--or to see if it even exists at all. Sadly, having such a bipolar outlook is now considered 'normal' in today's media reality.